Becky will ensure that every aspect of your Beauty Therapy needs are met with professionalism and that extra touch of luxury. 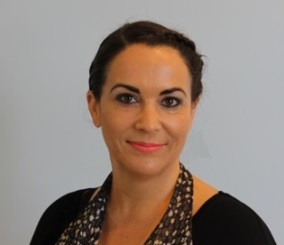 Becky has 23 years experience both Nationally and Internationally in the Beauty Therapy industry, encompassing management, tutoring and all aspects of Beauty Therapy. Becky specialises in skin analysis, facials and electrolysis. Beauty Therapy is my passion! 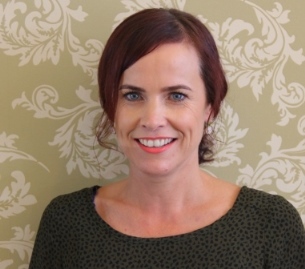 Erin brings with her over 16 years experience in the Beauty Industry, performing exceptional service, salon management and salon owner of a successful clinic in the Wellington Region. Erin Specialises in Advanced services such as IPL Hair Removal and SKin Rejuventaion treatments, Dermapen, LED and Dermaplanning. Erin;s exceptionl work ethic and client focus makes clients feel comfortable and relaxed wanting to come back for more. Laura has 17 years experience in the Beauty Therapy industry and has come to us all the way from Ireland. Having spent the last few years working on board a yacht treating clients, Laura is excited to be back in a Spa working with a team and getting to meet and build a new client base. Brows are definitely her thing and in particular threading. She is fast building a regular following of threading clients and believes that Brows are the frames of the face. Abby has a very caring, calm therapist with a real passion for all aspects of Beauty Therapy. Abby specialises in eyebrow shapes and tinting, massage and facials. Kirsty has 13 years experience working in salons as well as working on sets for fashion/editorial photo shoots. Kirsty is a bubbly, positive technician who enjoys giving her clients the best professional service they deserve. Astrid has previously worked in the beauty industry for 14 years in Auckland, first in hairdressing then she moved over to beauty.She has a strong background in Management,HR and Administration and is thrilled to be back in the Beauty industry once again. Her biggest passion is people, and she loves to welcome new and regular clients to the Immerse environment and help make them feel pampered and relaxed. After escaping Auckland for the more relaxed BOP with her family she is excited to be a part of the Immerse team and culture. Super organised and always with a smile, Astrid is a self-confessed beauty product addict and looks forward to welcoming you to The Crossing. Nadia has a holistic approach and real passion for skin health. She is committed to each client and loves to educate and share knowledge to achieve results. Nadia enjoys the science behind beauty and loves performing massage and body therapy. Her main interests are facials and waxing and she has developed some great techniques to ensure client comfort during waxing. Nadia has a lovely,open and friendly demeanor and genuinely loves being a Beauty Therapist. Jeorgie has a very warm and caring manner. She enjoys helping her clients with their skin concerns through specialised, advanced services such as IPL, Dermapen and Dermaplain, Jeorgie also has a real passion for nails and specialises in lash extensions. 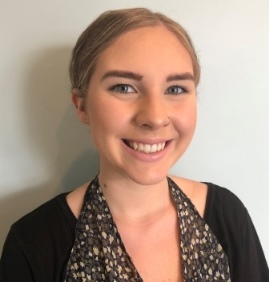 Aleisha is a lovely calm therapist who really enjoys performing facials, massage and nail treatments. She has a holistic approach, she loves to pamper her clients, making them feel relaxed and special. Her goal is for her clients to leave the salon floating. Brooke works between both Immerse Bethlehem & Tauranga Crossing. Brooke is a very bubbly therapist that has a real passion for all things Beauty. She does fantastic make-ups and has magic hands! Her massage and facials are a real treat for those clients needing to relax and unwind. Brooke works between both Immerse Bethlehem & Tauranga Crossing.